Dr. Sue Brown is an adult endocrinologist with clinical expertise in the treatment and management of type 1 diabetes. Dr. Brown serves as one of the centers Endocrinologist on inpatient studies and works closely with engineers and clinical researchers to translate technology to treatment. 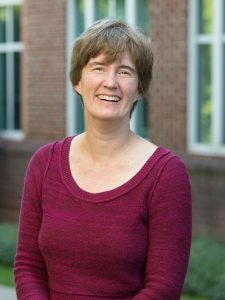 In addition, Dr. Brown teaches type 1 diabetes management to medical students, residents and fellows within the UVA academic center, as well as, has a clinical practice at UVA. Dr. Brown lives in Crozet with her family and her two retrievers.